Proper car care will provide a faithful and smooth ride for years to come. Having a good relationship with a knowledgeable mechanic, like the experts at LaMent’s Auto Service & Repair, Inc., in Wayne, PA, can help you handle auto service issues as they arise, but there are ways to extend the life of your car and reduce the time it spends in the shop. Each vehicle has a recommended maintenance schedule that includes fluid changes, spark plug replacement, fuel system checks, transmission checks, and more. The schedule is based on mileage and the age of the car. Following this schedule can prevent damage and costly repairs to your car. By checking fluids regularly, you can spot a problem before it becomes a real problem. 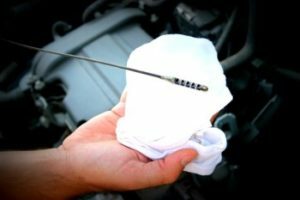 In most models, it is fairly easy to check the oil, antifreeze, transmission fluid, power steering fluid, and break fluid. Some experts suggest checking these fluids every time you buy gas. This is particularly important for drivers near the ocean and regions that use road salt in the winter. Salt can contribute to devastating corrosion, so it is important to wash your car and pay special attention to areas prone to rust. Corrosion can result in steep auto repair costs. Your car’s engine functions optimally at the vehicle’s normal operating temperature. This is one reason why short trips are so hard on an engine. To be sensitive to your car’s operating temperature, avoid too many cold starts and try to drive slowly until your car warms up to its normal operating temperature. Road rage might be your preferred way of handling other drivers, but it is terrible for your car. Aggressive accelerating, hard stops, and riding the brakes can cause wear and tear on your engine and the rest of the vehicle. Neglected tires are an invitation for an accident. Make sure your tires are properly inflated, aligned, and rotated. If you’re looking for a reliable, trustworthy mechanic, contact Lament’s today.